PREORDER NOTE: We are experimenting with offering a larger discount for preorders, at least early in the preorder process. ASLSK#4 is on preorder for $45, a 30% discount from the retail price of $65. Everything is more expensive lately, and while the retail price of $65 is in line with current production costs, we realize that it is significantly more expensive than the preceding Starter Kit modules, which we deliberately kept low-priced as an incentive for new players. Therefore, we are offering a bigger preorder discount to help make up for the higher retail price. 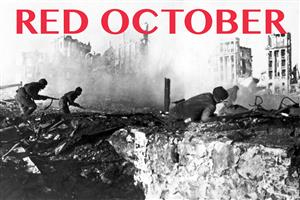 No guarantees that this higher discount will always be around, so take advantage while you can. 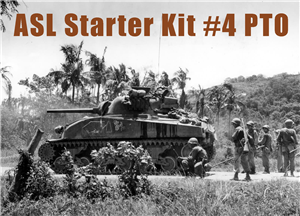 ASL Starter Kit Module #4 PTO brings ASLSK to the Pacific Theater of Operations (PTO), and adds the Japanese and the United States Marine Corps to the ASLSK lineup. 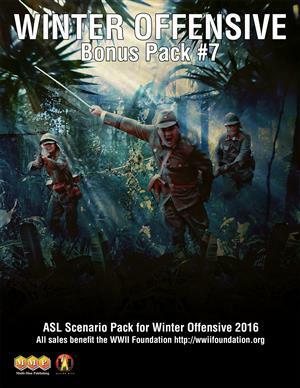 ASLSK#4 is a self-contained ASL module that gives players the opportunity to start playing Advanced Squad Leader almost immediately. ASLSK#4 expands on the themes of previous Starter Kits by providing new counters and updated rules featuring a new concept to Starter Kit – PTO. At the heart of this module are the rules for using the Japanese Imperial forces who fought amongst the jungle and island atolls of the Pacific in terrain completely different from the European Theater of Operations and with tactics different than their European counterparts. In addition to the step-reducing Japanese infantry and new rules for familiar looking terrain, simplified rules for Banzai, concealment, and hand-to-hand close combat are introduced. Neither components nor experience with earlier Starter Kits is necessary to play. The eight scenarios and three mapboards cover actions between the U.S. forces (Marines and Army) that opposed the Imperial Japanese Army on the islands of the Pacific and in the exotic China-Burma-India theater. From Guadalcanal to Myitkiyina to the big island of Luzon in the Philippines, these forces fought to the death from 1942 to 1945. Each successive ASL Starter Kit module has gotten a little bit more complex. 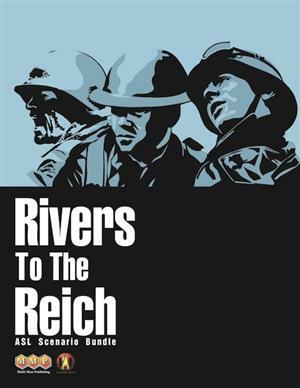 ASLSK#1 is infantry only, with Germans, Russians, and Americans; ASLSK#2 introduces ordnance and some other nationalities; ASLSK#3introduces vehicles; Decision at Elst introduces campaign games; and of course this ASLSK#4 introduces the PTO, Japanese, and U.S. Marines. 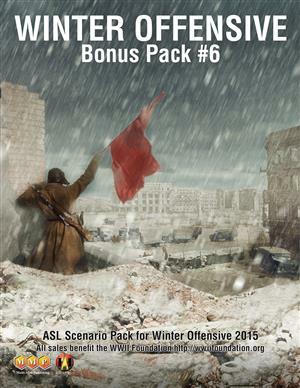 ASLSK#4 is totally self-contained and does not require anything else to play the scenarios. Brand new players, however, may wish to start with our introductory module ASLSK#1, the simplest of these. More experienced ASLSKers, on the other hand, should have no problem diving right into the PTO and Japanese.